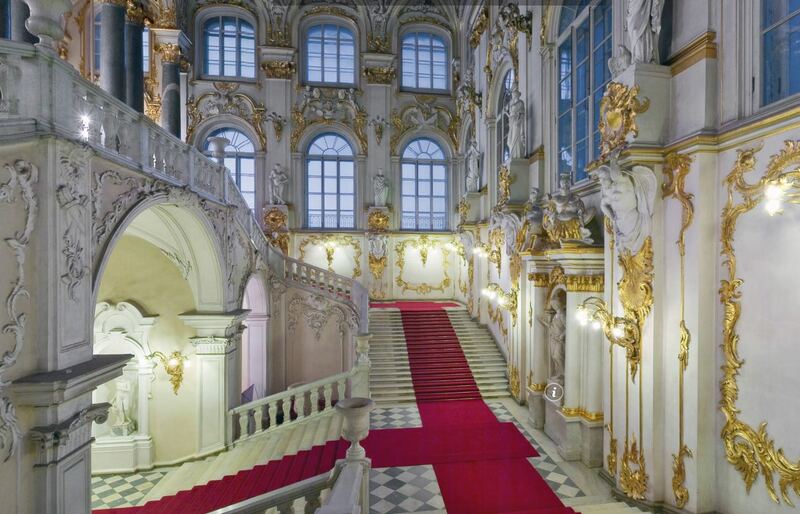 The Hermitage of St. Petersburg is one of the largest museums in the world. In order to plan your visit, it is convenient to take into account some practical elements, as well as organize a good itinerary, depending on the time you have available. If you travel to St. Petersburg, even if it is only for one day, an essential visit is the Hermitage Museum, one of the largest art galleries and antiques museums in the world, which rivals museums such as the Louvre in Paris or El Prado in Madrid. Though more than a museum, it is also a palace-museum, as it also contains rooms and spectacular areas from the time of the czars. The Hermitage consists of a complex of several buildings on the banks of the Neva River, the most important of which is the Winter Palace, which was the official residence of the ancient Tsars. The museum’s collection was formed through the private collection that the czars were acquiring over several centuries. The museum exhibits more than 3 million works of art: paintings, sculptures, archaeological pieces, numismatics objects, etc. They say that going through all the rooms means walking around 24 kilometers, which means that you have to live in the city to know the museum in detail. In any case, in a visit of 1 day or even a few hours, you can take an overall impression of the museum and see some of its main rooms and its most famous works of art. 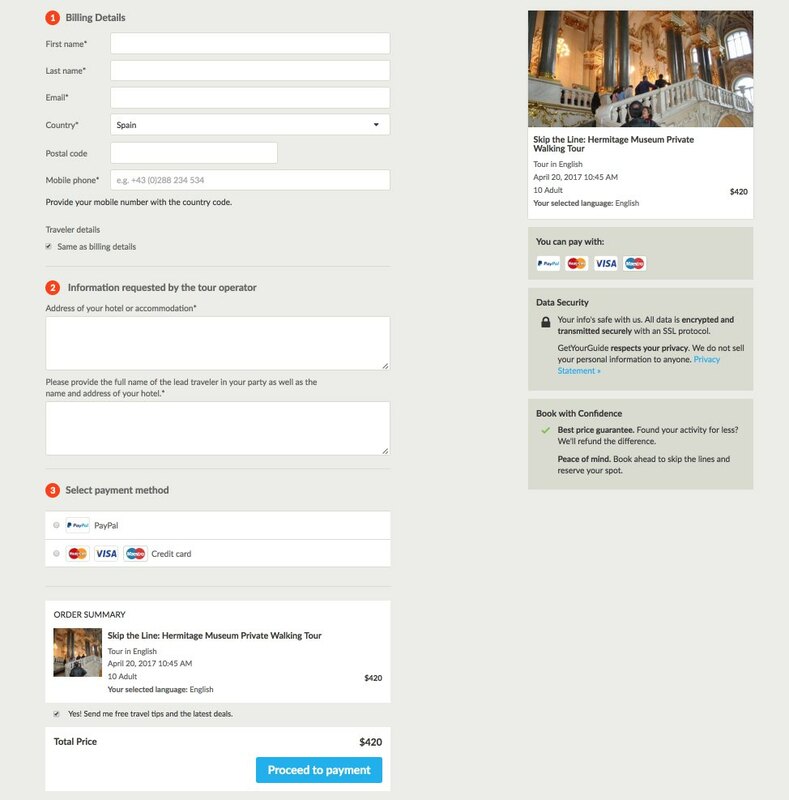 In this article I will focus on the main practical elements to consider when organizing the visit and how to plan an itinerary through the museum, based on the time you have available. Any season of the year is good to visit the Hermitage. The largest influx of people to the museum occurs in summer, when Russian tourists are joined by foreigners, many of them from cruise ships docking in the port. If you want to have the maximum time for the visit I recommend you do it on a Wednesday or Friday, since these days the museum has a more extense schedule (from 10:30 a.m. to 9:00 p.m.). The rest of the days (Tuesday, Thursday, Saturday and Sunday) the schedule is shorter (from 10:30am to 6:00pm). The museum is closed on Mondays (and also on January 1 and May 9, which are holidays in Russia). The influx of people is always greater during the weekends and during school holidays, so it is best to avoid these days. The entrance to the museum is free on the first Thursday of each month and on December 7, but it must be borne in mind that these days there are a lot of people. Most people come to the museum in the morning. From 4:00 pm, the influx of people goes down very considerably. So if you want to do a few hours quick visit, Wednesday or Friday after lunch (3 or 4pm) is a good time, since you probably will not find any lines and you will still have about 5 hours to visit the museum and see the most important exhibits. 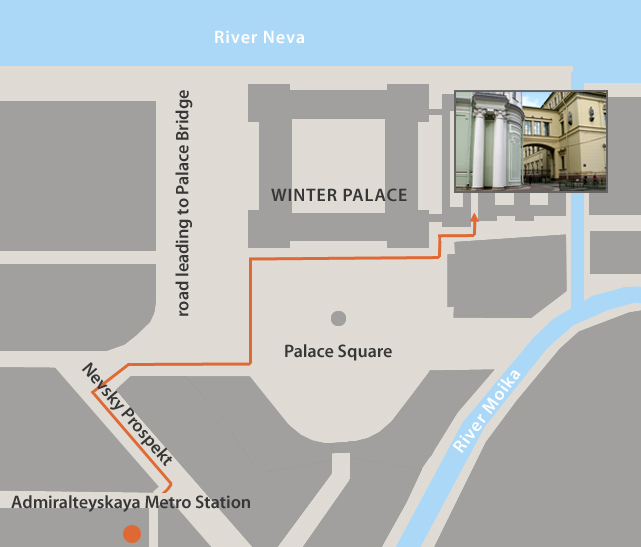 The main collection of the museum is in the so-called Main Complex, consisting of five interconnected buildings: the Winter Palace, the Small Hermitage, the New Hermitage, the Great (Old) Hermitage and the Hermitage Theater. The people of St. Petersburg call this great complex as the Winter Palace, since it is the main building and the one appears in all photos and postcards. Anyways, when you visit the main complex, you go from one building to another without practically realizing it, since they are interconnected. The entrance to this large complex is located in the Palace Square number 2 (the main square of St. Petersburg) and is accessed through a large iron gate that gives access to a large courtyard, inside which are the ticket offices and also the ticket vending machines. General Staff Building (Palace Square, 6-8). 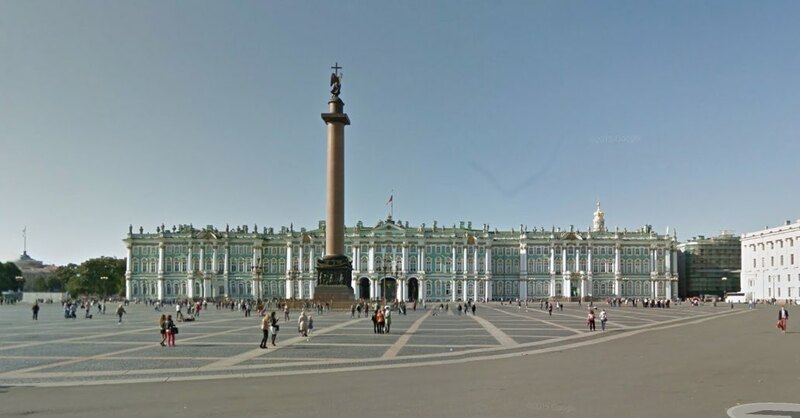 Just opposite the Winter Palace, on the other side of the Palace Square, you will find this imposing building that houses part of the permanent exhibition of the Hermitage and also some temporary exhibitions. Menshikov Palace (Universitetskaya Embankment, 15). It is located on the other side of the Neva river. It was the palace of the first governor of St. Petersburg, Alexander Menshikov. There you will find the exhibition entitled “Russia’s Culture in the first third of the 18th century”. 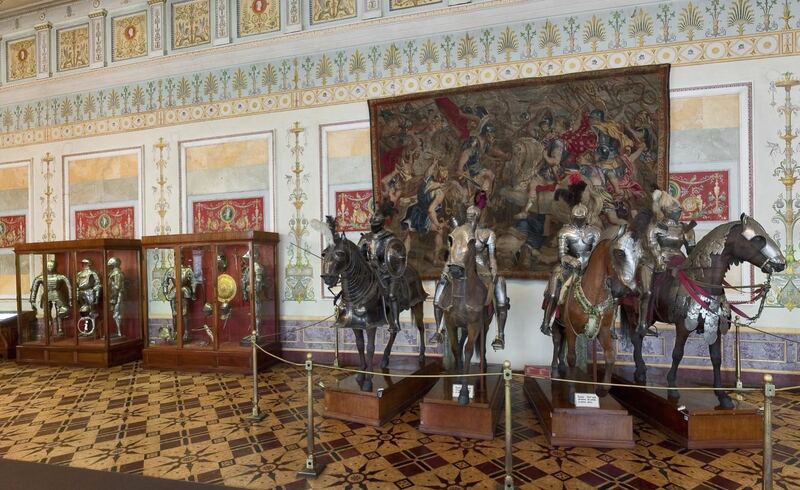 The rooms and the works that are exhibited there recreate the interior decoration of the era of Peter the Great. Porcelain Museum (Prospekt Obukhovskoi Oborony, 151). Opened in 2003, it exhibits more than 30,000 objects, including porcelain, glass, drawings, photographs and rare publications. The exhibition shows the different stages of development of the first national porcelain factory, founded in 1744, and the history of Russian porcelain. 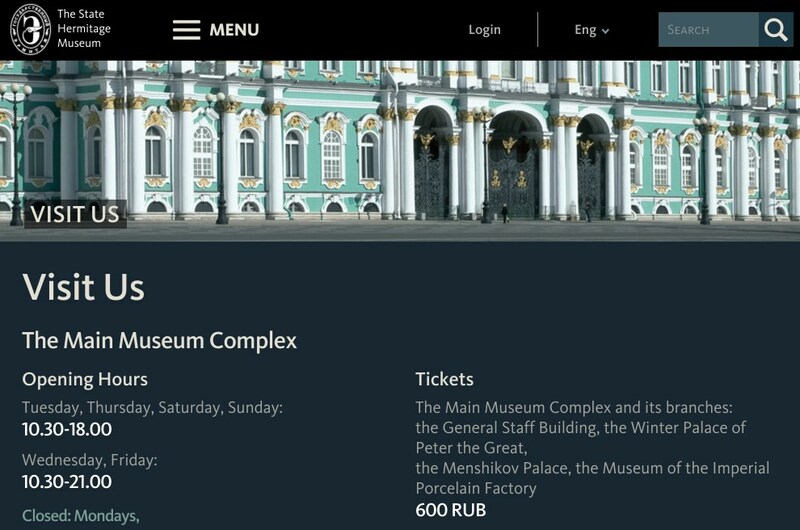 Tickets for the Main Complex of the Museum and the rest of its buildings (General Staff Building, Menshikov Palace and Porcelain Museum) cost 700 rubles. This entrance is valid for 1 day, though the truth is that only visiting the Main Complex can already perfectly take you an entire day. Tickets to visit only one of the buildings of the Hermitage (Menshikov Palace or Porcelain Museum) cost 300 rubles. You can also visit the Treasure Gallery, though it is only possible to do so by a guided tour. The museum organizes guided visits to the Treasure Gallery, which consists of the so-called Golden Room (an extraordinary collection of gold objects from 3000 B.C until the beginning of the 20th century) and the Diamond Room (a collection of diamonds and precious stones of The Romanov family and diplomats of the Russian court). There are two separate guided tour visits that last 90 minutes each (in Russian or English) and that take place at 1:00 p.m. (Golden Room) and at 2:45 p.m. (Diamond Room). Entrance to the museum is free for everyone on the first Thursday of each month (there are usually plenty of people) and on December 7. Entrance is free for children and students (regardless of their nationality and age). This means that by presenting your university student identity card at the ticket office, admission is free, though you will have to get in line to obtain your ticket (there are people with free entry who prefers to buy the ticket on the machines to avoid the lines). At the ticket offices, there are long lines in summer, especially for Russian citizens who have some kind of reduced or free admission, and who have to justify it with paperwork at ticket offices, but also foreign university students who have to present their tickets to obtain their free entry, since these can’t be obtained in automatic machines or online. 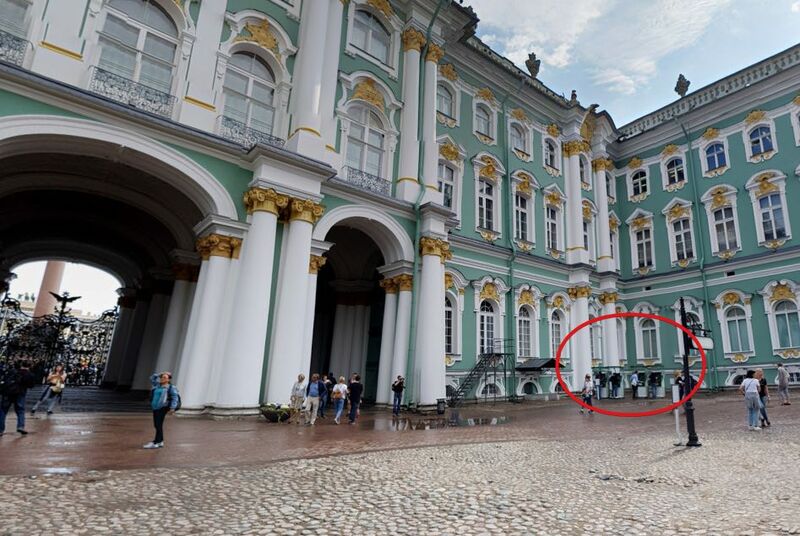 In the automatic machines in the entrance patio of the Winter Palace you can also buy tickets. If you are not entitled to any type of reduced entry, then the best option is to buy it at the automatic machines, which are in Russian and English and there are usually no lines. You will see the automatic machines by accessing the main entrance door to the museum, just enter the main courtyard. 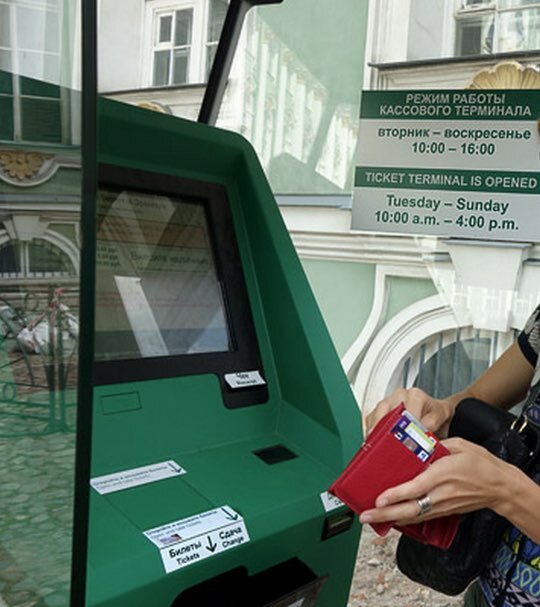 In the Russian version the entrance is more economical, costing 580 rubles (only 20 rubles cheaper than in the ticket offices or automatic machines), but according to reports from the museum, these tickets are intended for Russian and Belarusian citizens. You only have to show your printed entrance in security to access the building and once inside go to the lathes of entry in which you will have to scan the bar code of your entrance to access the museum. Food. The museum has a cafeteria on the ground floor. You won’t find any elaborate cuisine here, but rather basic food (sandwiches, drinks and desserts) to make a quick stop before continuing with the visit. It is not possible to bring food or drink in the museum. All bags are scanned at the entrance. Wardrobe. Large bags, backpacks, suitcases, umbrellas or winter coats must be left in a cloakroom. Photography. You can take pictures and make videos with your mobile in permanent exhibitions, but without using flash. In temporary exhibitions it is forbidden to take photos and videos. Souvenirs shop. The museum has the typical souvenir shop where you can buy from fridge magnets to postcards, porcelain, reproductions of famous paintings, art books, or handbags. Audioguides. They are available in Russian, English, French, German, Spanish, Italian, Japanese, Chinese and Korean. Audio guides are available on the ground floor (in the Main Gallery) and on the second floor (on the main staircase). Access for people with Disabilities. Visiting the museum in a wheelchair is not a problem because it is adapted to accommodate people with disabilities. More information in this link. Mobile app. There are also mobile applications and audio guides for the museum, though most of its contents are paid. Clothes. It is convenient to wear comfortable clothes to visit the museum, since you will walk a lot. Movies. I recommend watching the film The Russian Ark, from 2002, shot in the interiors of the Hermitage. The grounds of the main complex are huge, so I recommend taking a free color map of the museum in the entrance, in which you will find details of the most popular artworks and rooms. On the museum’s website there’s also a virtual tour, through which they present a map of the museum with indications of the content on each floor, and you can see the rooms one by one in your virtual tour. There is also a route planner through the museum, in case you want to make your own route, though it can be a bit complicated to use. The Hermitage has three floors to walk: the ground floor, the first and the second. Along the way, you are sure to be lost. There are always employees in different rooms that can help you find the way. Their disposition is always very good, but most likely they only speak Russian. On the ground floor there are exhibitions of primitive art, findings made in the ancient Soviet territory, Oriental art and culture and Egyptian and classical antiquities. 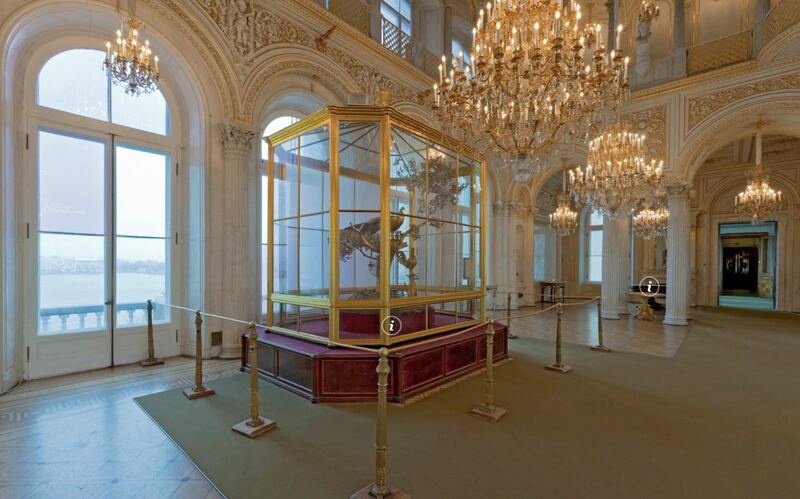 There is also the Treasure Gallery (the Golden Room and the Diamond Room), which can only be visited with a guided tour (it can be booked on the Hermitage official website). Most of the guided tours begin in the entrance hall to the Winter Palace, through which the first floor is accessed through the main staircase of the palace (a dazzling 18th century creation of marble, granite and gold). One of the first rooms passed through the first floor is the Malachite room, with its exhibits of personal items from the imperial family. The Pavilion Hall, on the first floor, is known for the wonderful Peacock Clock. The Knights’ Hall is also on this floor, and various armors can be seen. The first floor also has many rooms that are exactly as they were, when the imperial family lived in the Winter Palace. 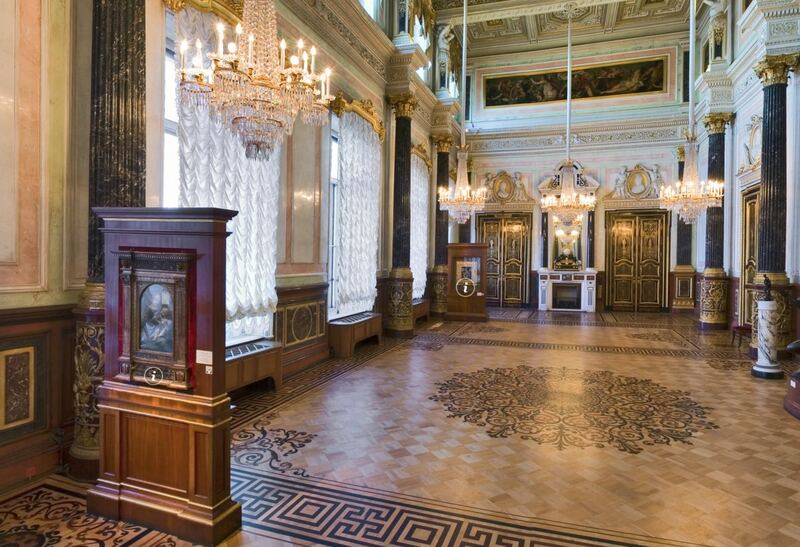 In addition to the spectacular rooms on this floor, you will find a large amount of Russian and European art. Among the works of Italian art of the 18th century there is the Madonna Benois and Madonna Litta by Leonardo Da Vinci (Room 214), Michelangelo’s sculpture, Crouching Boy or Squatting Child (Room 230), two works by Raphael, eight Tizianos and works by Tintoretto, Lippi, Caravaggio, and Canaletto. 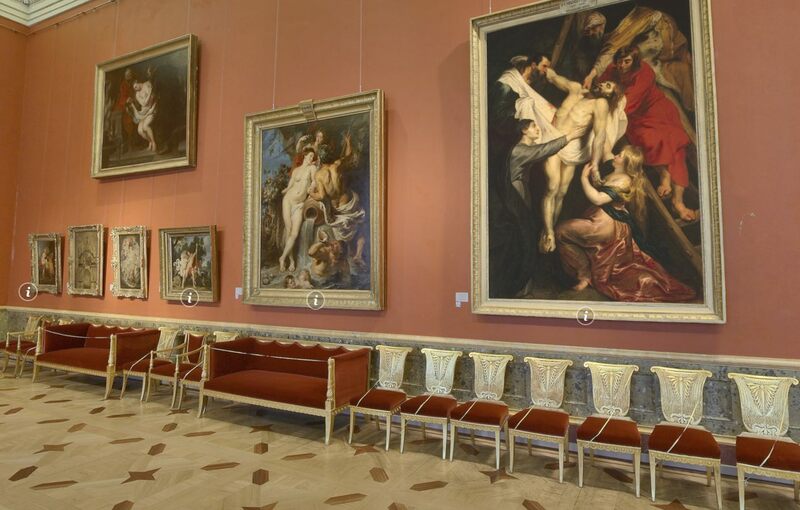 The Hermitage also houses a magnificent collection of Spanish art, with works by El Greco, Velázquez, Murillo and Goya. There is also a spectacular collection of Flemish and Dutch art with works by Van Dyck, including portraits made in England as the chamber painter by Charles I, over 40 Rubens paintings (Room 247) and an equally impressive number of Rembrandt paintings ( Room 254). There is also an extraordinary collection of paintings by French and British painters. In this floor you will find the Asian and the Middle East art collection of the museum, and rooms of medals and coins. 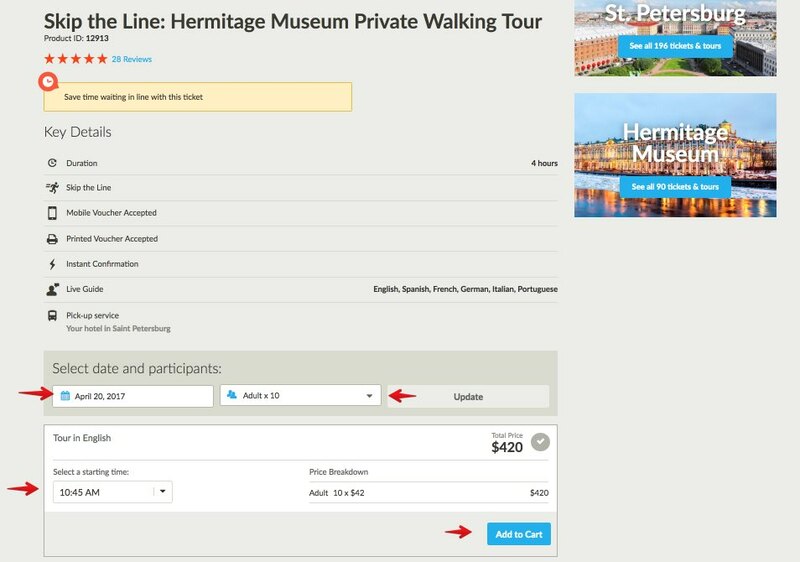 Finally, if you want to take a guided tour in English to the Hermitage without queues with the tickets included, a good option is to contract some excursion with the platform GetYourGuide since it is the one that offers the greater number and variety of tours to the Hermitage. Visits are conducted by Russian companies and are offered in several languages, including English, Spanish, German, Italian, Portuguese, Chinese, etc. The price is based on the duration of the tour, the services offered, etc. 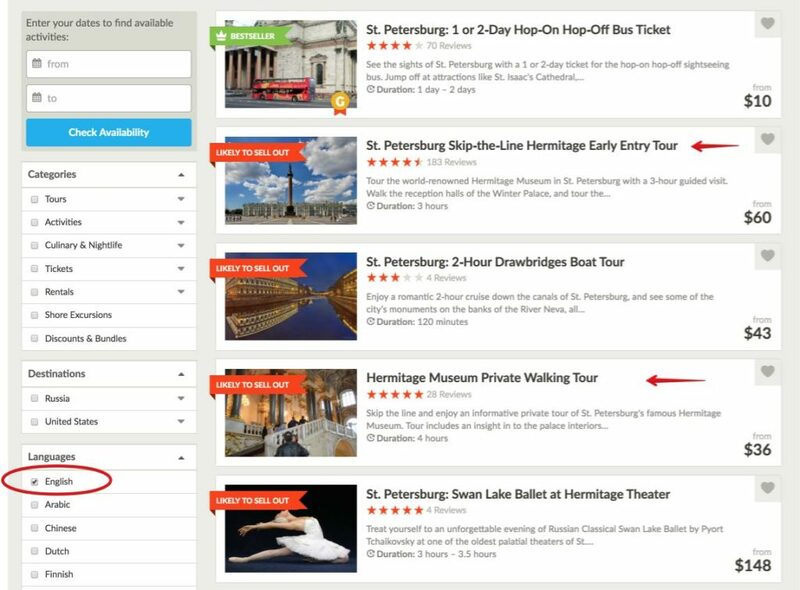 I hope this article has helped you organize your visit to the Hermitage Museum in St. Petersburg. You can leave your comment below.